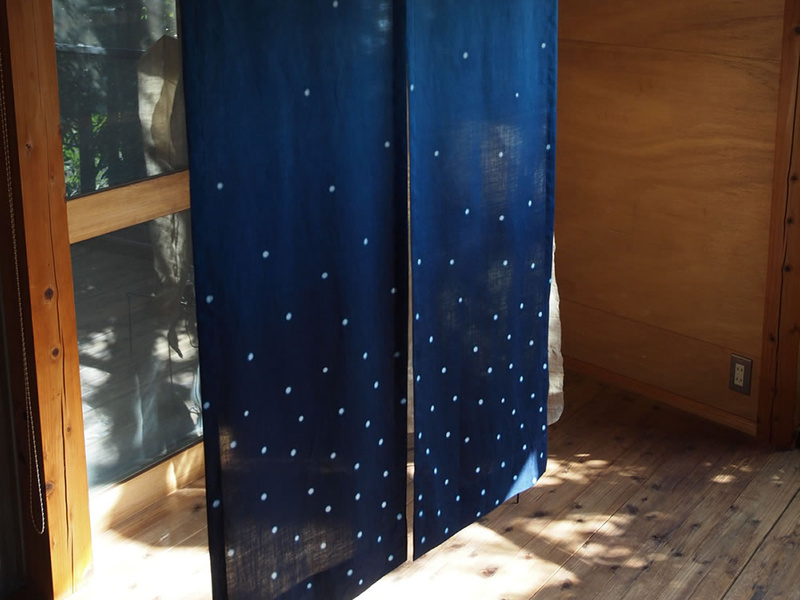 One of our indigo-dyed artworks, using silk fabrics made in Kiryu, Gunma. 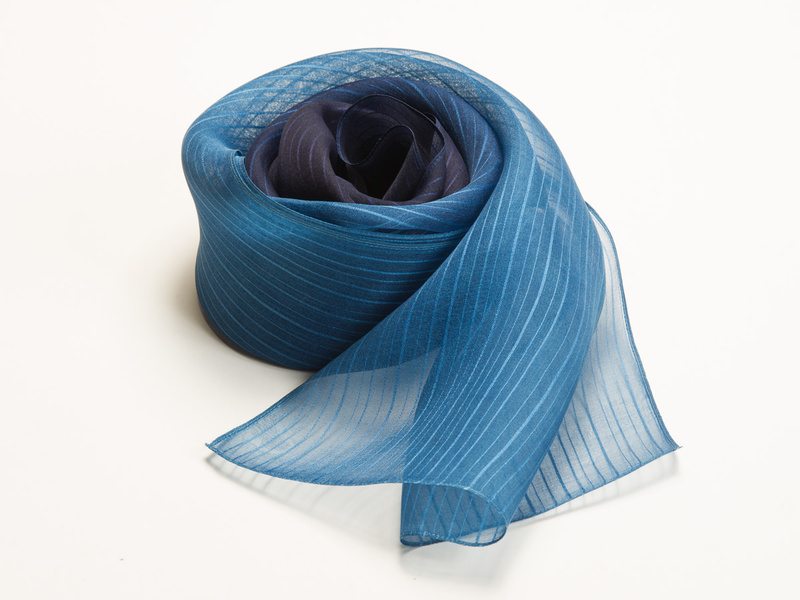 A stole, combining two types of high-quality silk fabrics made in Como, Italy. 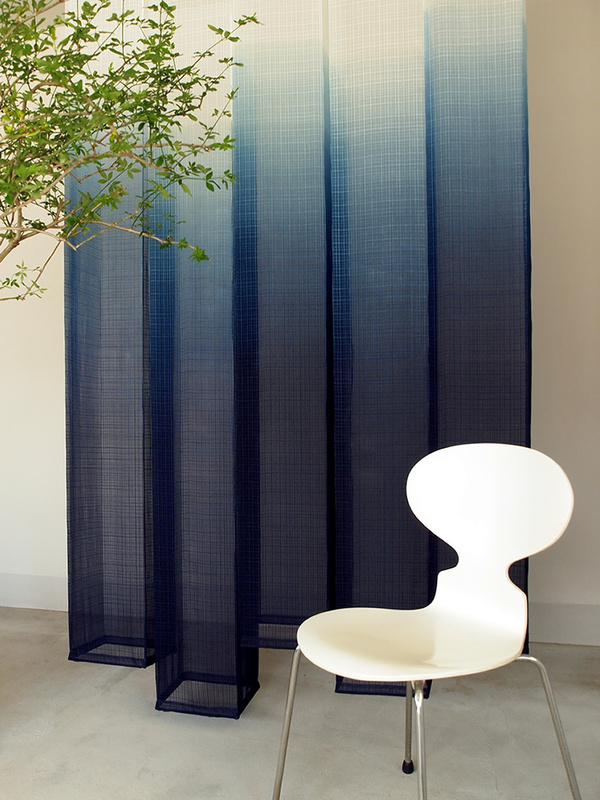 White spotted split curtains, made of linen. 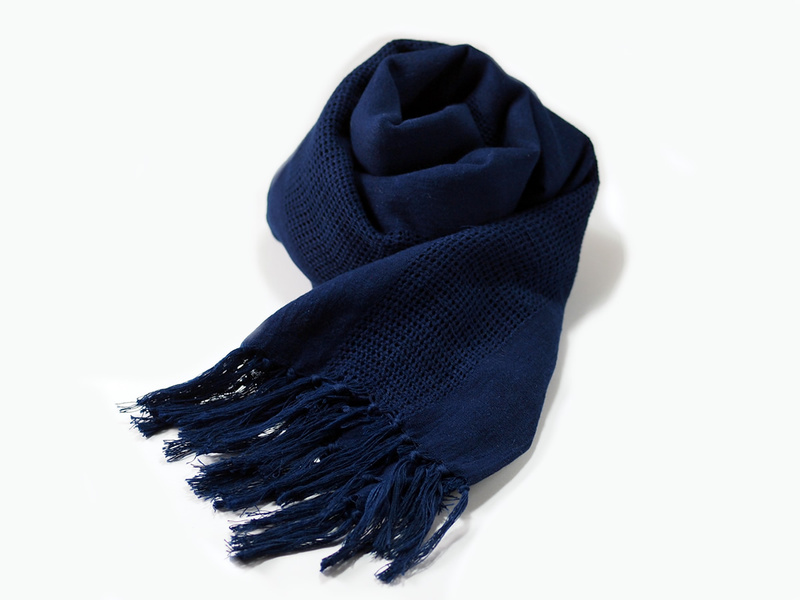 An indigo-dyed medium-sized scarf, using silk fabrics made in Kiryu, Gunma. 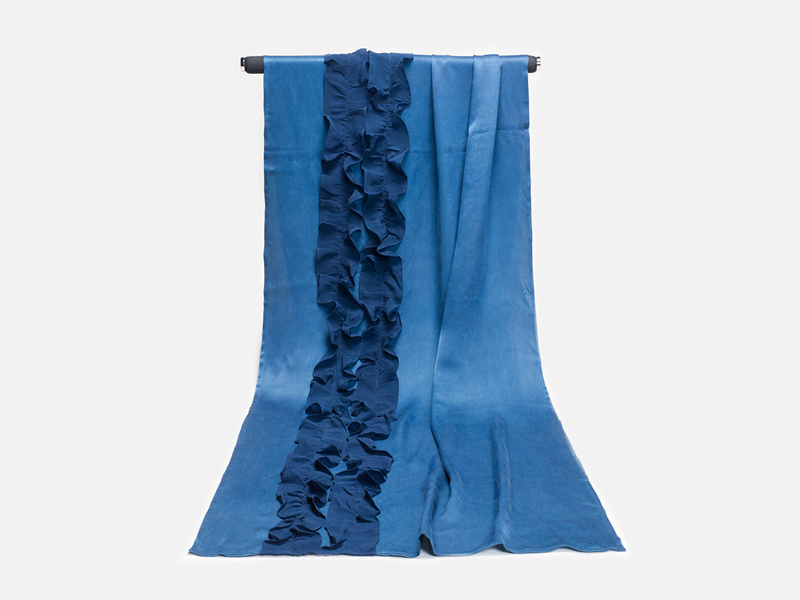 An indigo-dyed large-sized scarf, using silk fabrics made in Kiryu, Gunma. 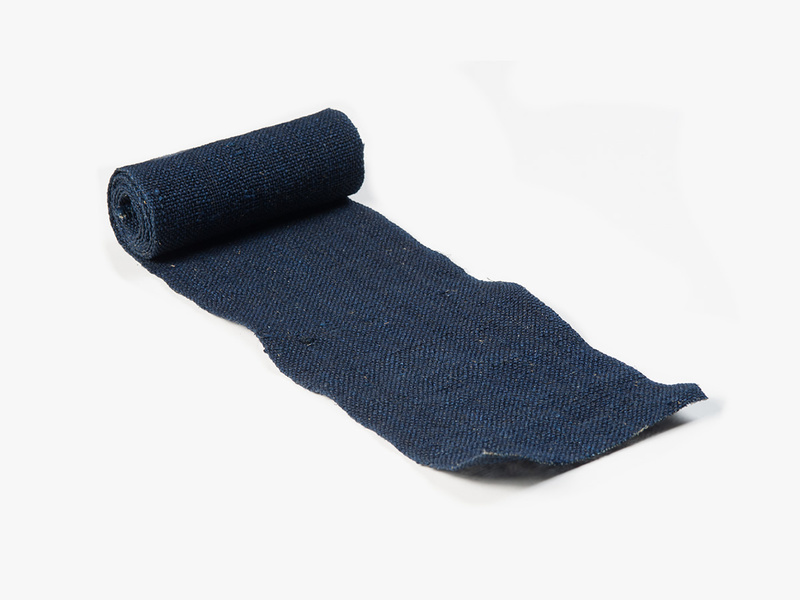 A stole, using a thick fabric, made of Indian cotton. 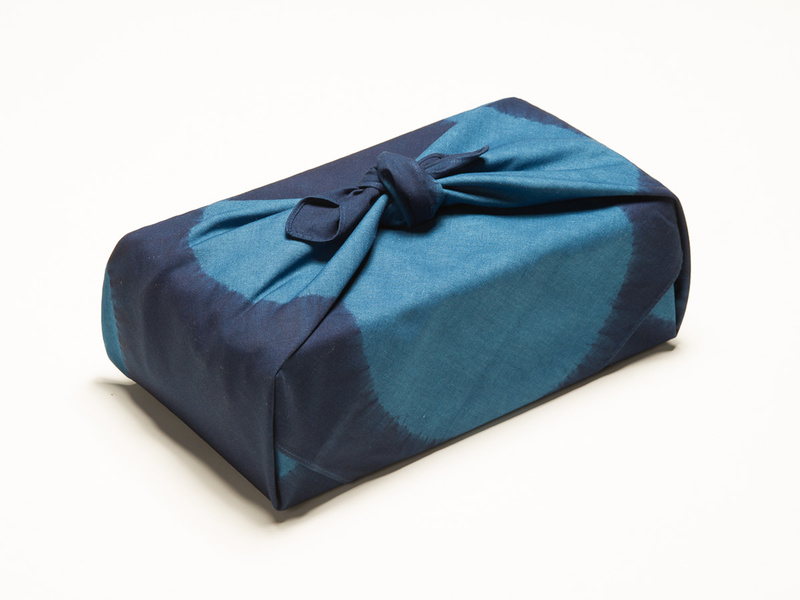 It’s good to use as wrapping what you bring, like a bottle of wine. 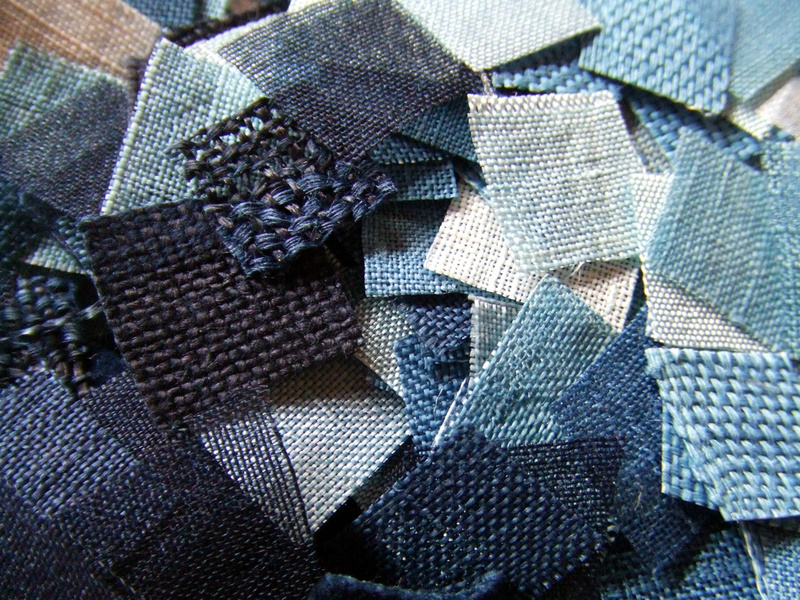 The color of indigo and hemp’s touch made calmness on the table. 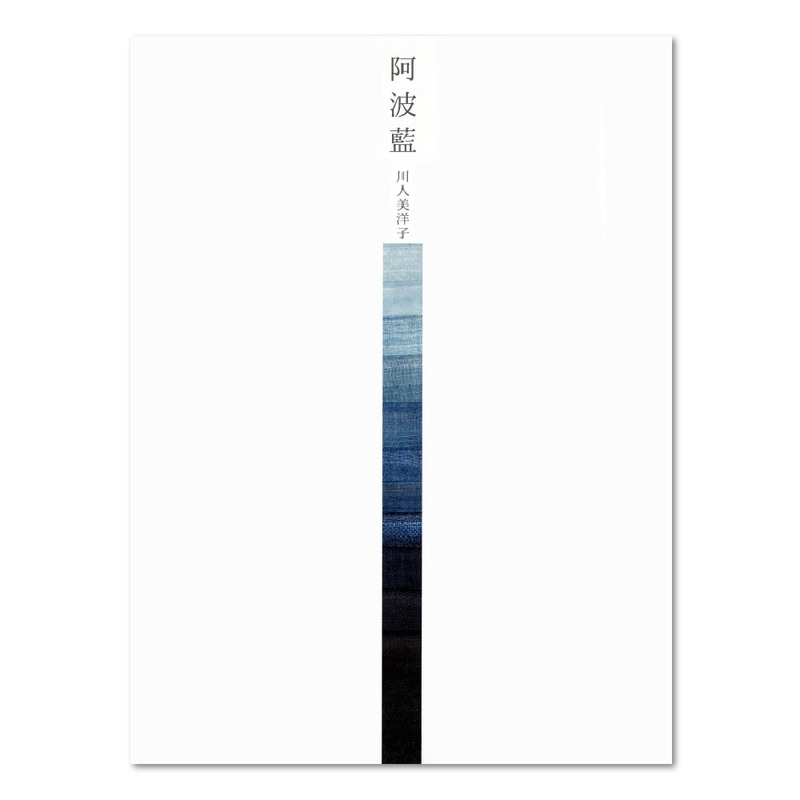 A technical book, summarized wide range contents about “Awa Ai” in one.